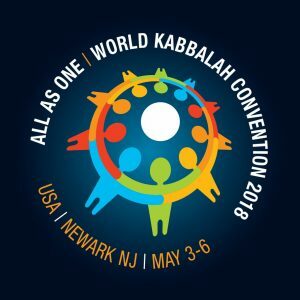 Question: What is the main reason a person should attend a Kabbalah convention? Answer: We are in a state where the wisdom of Kabbalah is becoming more and more widely recognized, not as it has been popularly misconceived throughout history, as religion, mysticism, magic or philosophy, to name a few, but as a substantive method through which we need to upgrade ourselves and the world in all of its fields. The wisdom of Kabbalah explains the structure of human relations on personal, domestic, social, national and global scales. It addresses the education of both adults and youth according to what is most important in life, how to prioritize human values and engagements, and how to plan personal, domestic and national life in order to bring about a harmonious future generation. In other words, the wisdom of Kabbalah opens up a new and improved map of the world, showing where the world is headed, and explaining the laws of nature: why and how they work on us. It doesn’t ask anyone whether or not they want to know about the wisdom and awareness it brings. However, if it is important for us to find our optimal place in the world, and to have happier and easier lives, then it is important for us to at least learn and experience a little of what Kabbalah has to offer. Therefore, I invite everyone to the World Kabbalah Convention. I am sure that everyone will head home with a healthy, rational and practical approach to life, both in relation to everyone’s personal lives, as well as to the world in general. In modern life, which is globally interdependent, such an approach is very much needed. Question: What feelings can a person expect to experience at a Kabbalah convention? Answer: We are expecting to make this Kabbalah convention practical, that it will give its participants an ability to feel the forces of nature acting on us, as well as the learning of how to act with and even manage them. By doing so, we will be able to manage our lives, on individual, social, national and even global scales. Through that, we will know what to expect in the near future, as well as in the future generations. It will help us with our own education, with children’s education, with everything, that is, I’ll know how to get along with everyone and everything. Therefore, physical participation in the convention is very important, because we cannot grasp these things from long distance, over the Internet. In addition, people will have the ability to ask questions and get answers, and there will be many people helping everyone scrutinize and clarify everything we learn and experience. We will be very happy to see participants from all ages and backgrounds, without limitations, because the wisdom of Kabbalah belongs to the whole of humanity, everyone included, and everyone is equal in relation to the wisdom of Kabbalah. It comes to us from Adam HaRishon (“the First Man”), therefore it is equal for everyone.